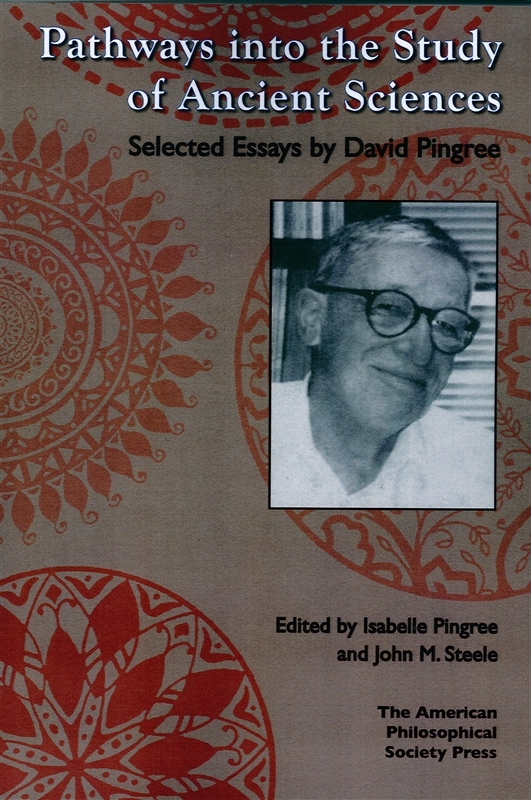 The selected essays included in this volume offer a sampling of the incredible wealth of knowledge and expertise of David Edwin Pingree (1933-2005), Brown University Professor of the History of Mathematics and Classics and esteemed member of the American Philosophical Society. 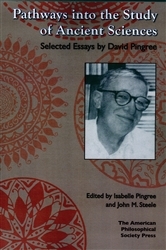 His contributions to the history of science are immeasurable, and his many works will continue to aid researchers in scholars in future years. 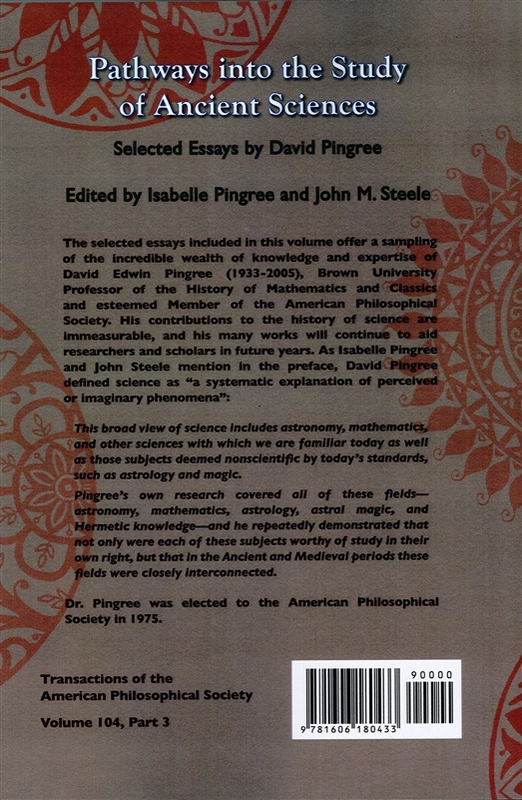 As Isabelle Pingree and John Steele mention in the preface, David Pingree defined science as “a systematic explanation of perceived or imaginary phenomena”: “This broad view of science includes astronomy, mathematics, and other sciences with which we are familiar today as well as those subjects deemed nonscientific by today’s standards, such as astrology and magic....[Pingree] repeatedly demonstrated that not only were each of these subjects worthy of study in their own right, but that in the Ancient and Medieval periods these fields were closely interconnected.” Illus.